Believe it or not, the priciest listing in today's Cary rental market is going for $2,950/month. As pricey as it may seem, it's not the only expensive residential listing in the city. But just how fancy do these rentals get, given these higher prices? We scanned local listings in Cary via rental website Zumper to identify the city's most posh listings. First, check out this single-family home situated at 638 Mercer Grant Drive. It has four bedrooms and three bathrooms. Whereas the average price for a four-bedroom rental in Cary is about $1,925/month, this pad is currently going for $2,950/month. What, precisely, makes it so steep? 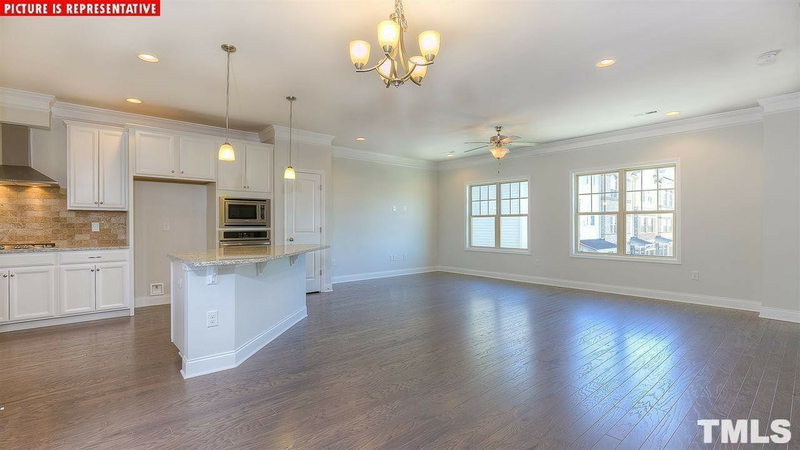 In the house, you can anticipate hardwood flooring, a ceiling fan, a fireplace, custom built-ins, wooden cabinetry, stainless steel appliances, a breakfast bar, recessed lighting and in-unit laundry. There's also a porch, outdoor space and garage parking. Living in this deluxe house isn't all-inclusive: cats and dogs aren't permitted. According to Walk Score's assessment, the surrounding area isn't very walkable and doesn't offer many public transit options. Then, there's this single-family home located at 514 Emerald Downs Road. It has three bedrooms and three bathrooms, and it takes up 3,150 square feet. This pad is currently listed at $2,095/month. What makes it so steep? The home features hardwood floors, a walk-in closet, a fireplace, in-unit laundry, garage parking, ceiling fans, high ceilings, granite countertops, wooden cabinetry, a breakfast bar, a dishwasher, stainless steel appliances and outdoor space. The community boasts a swimming pool. Cats and dogs aren't welcome in this high-end home. According to Walk Score's assessment, the surrounding area is car-dependent. Finally, check out this townhouse over at 332 View Drive. It has two bedrooms and two bathrooms, and it's 1,837 square feet in size. Whereas the average price for a two-bedroom rental in Cary is about $1,245/month, this pad is currently going for $1,650/month. In the unit, you can anticipate a walk-in closet, granite countertops, in-unit laundry, air conditioning, hardwood flooring, a breakfast bar, wooden cabinetry, stainless steel appliances, a dishwasher and ceiling fans. The building offers garage parking and additional storage space. Inhabiting this deluxe house is a human-only thing: pets are not allowed. Walk Score indicates that the area around this address is somewhat walkable and offers limited transit options.